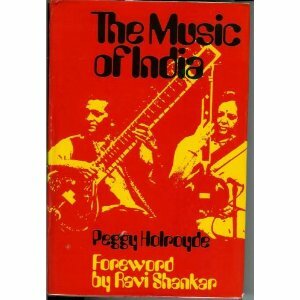 "Although several people have written about Indian music recently, there is a continuing need to initiate people, especially if they have not had the opportunity of hearing our music in its proper setting in India.... What I specially like about this book is that it does not go into dogmatic assertions or deal only with the dry, theoretical aspect, but has a much more human approach. This comes out beautifully because of Peggy Holroyde's love for the country, its people, its art forms and many other facets of Indian culture. I knew, when she was in India, what great pains she took in travelling round the country... listening to all kinds of music... experiencing it for herself and collecting information during the five years she was there. I know, also, how much care she has taken in selecting and checking her material for this book, and as a result it reveals the great love she has for the task of trying to help understand the past and present of Indian music, as well as the enduring background of India itself."